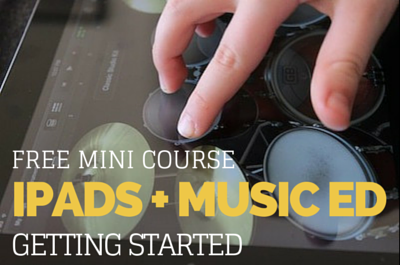 Thanks for joining the free mini course: iPads in music education. If you don’t see the email, please check your spam/junk folder and add my email address to your “safe senders” list. You will also start to receive my regular weekly music tech tip updates (if you don’t already). Once a week I send out a useful article or free lesson plan.